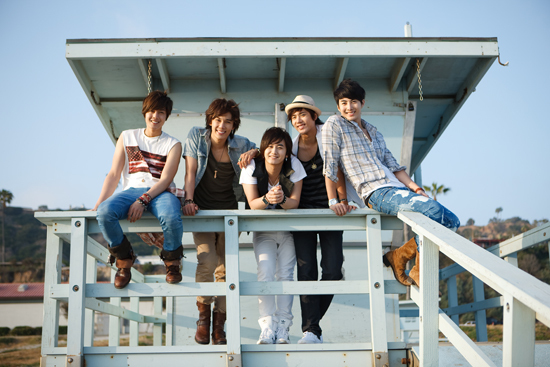 SS501 has signed up with Warner music for their Chinese market advance. On 29th June, there was a press conference held by Warner Music Taiwan that SS501 will release their 1st Solo album which will include songs like ‘Deja Vu’, ‘The song sang for you’, ‘You’re my heaven’ etc. What is special about this is that just the reservation sales for the album has already reach the volume of that of a Golden Disk. After their fanmeeting on 27th June, SS501 also held a photo event where the proceeds 100K KRW was donated to a social association in Taiwan. SS501 has voiced that they are happy to be able to meet their Taiwanese fans and also do something for a good cause through this event. Meanwhile, the boys will have their 1st concert performance off their 1st Asian tour on 1st and 2nd August in Seoul.